Sophisticated modern styles available with air jetting, whirlpool-style water jetting, or the ultimate Combo Spa option. Traditional clawfoot and pedestal styles available with air jetting, whirlpool style water jetting, or the ultimate Combo Spa option. Traditional style, complete floor-up faucet or shower packages. 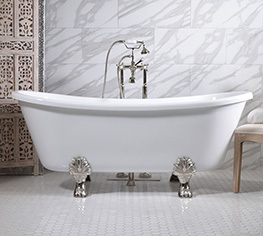 Traditional style, complete floor-up faucet or shower packages that feature pedestal bases rather than clawfeet. 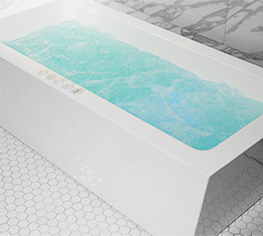 Elegant modern styles - just the tub, with integrated overflow drain. 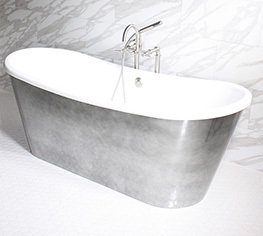 Vintage styles with highly unique 'Pure-Metal' exteriors or painted finishes - truly one of a kind tubs. 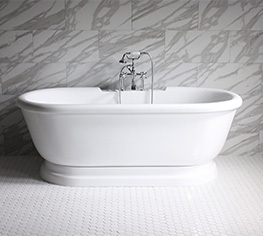 We offer an exclusive range of exclusive clawfoot tubs, pedestal tubs, skirted tubs and unique modern freestanding tubs. 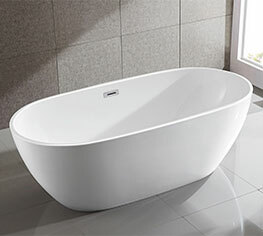 We also offer a large range of water jetted, air jetted and spa jetted bathtubs to give our clients an extensive choice. We manufacture to exacting standards and make sure when your purchase arrives at your curbside, it is not only beautiful, it is perfect. If you have any questions at all on our products, please don't hesitate to call us on 1.866.938.3880. 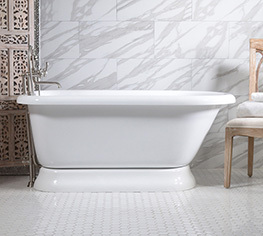 We are experts in bathtubs and bathtub installations. If you have a difficult install or don't want to move existing drain or water supply positions, we can offer options.